Angela Slatter probes the psyche of another unfortunate victim… errr… we mean contributor to The Spectral Book of Horror Stories – this time it’s the Welsh Wizard himself, John Llewellyn Probert (The Nine Deaths of Dr. Valentine and the forthcoming The Hammer of Dr. Valentine) – you can read the mini-interview HERE. Please note that, provisionally at least, this edition of the book is now SOLD OUT. 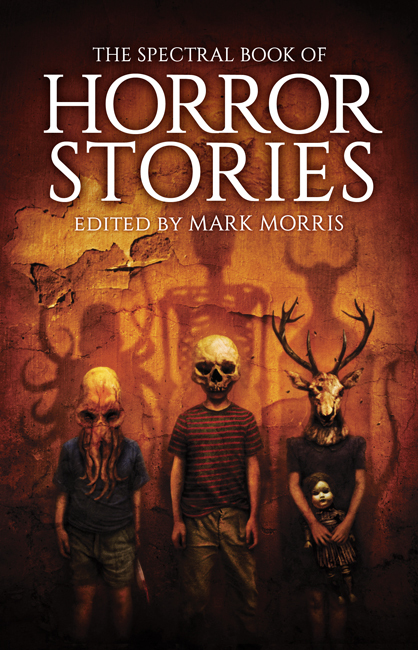 First we’ll kick off with a review of The Christmas Ghost Stories of Lawrence Gordon Clark – this one is from Matt Mason and has been posted to his Sweat, Tears, and Digital Ink website. You can read his verdict here. The Deluxe Edition (cover pictured above) has been getting particularly fulsome praise from the customers who ordered it, which gladdens the (lost) hearts of all of us here at Chateau Spectrale. 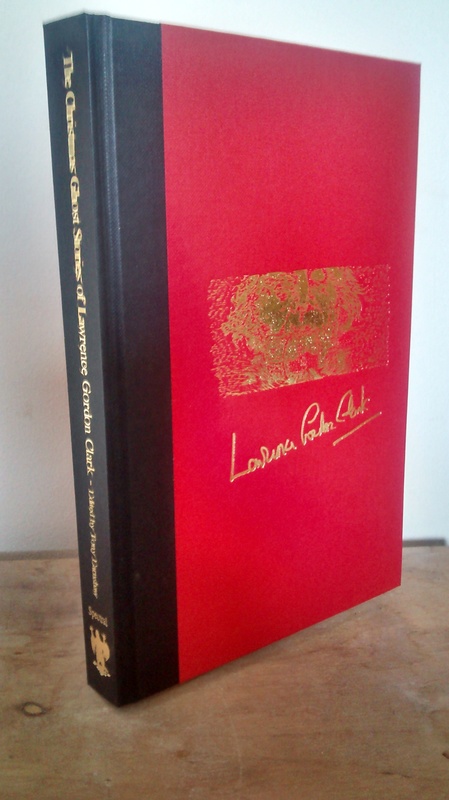 We still have eleven copies left of this special signed and slipcased edition – this is sure to become a much sought after collector’s item in the future. Paypal buttons can be found below. 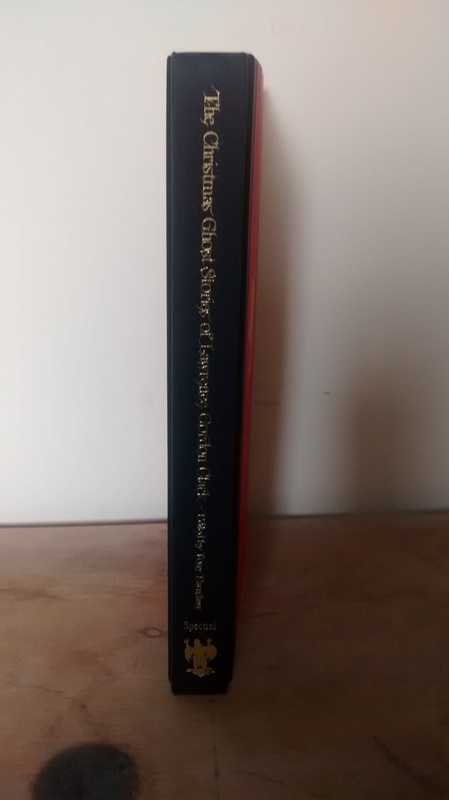 What you see here are images of a real live copy of the Deluxe Edition of The Christmas Ghost Stories of Lawrence Gordon Clark – although it’s currently the only one in our possession as this will be sent off to the slipcase makers to have them custom fitted. The rest of the books will be here later this week, whereupon we will start sending customers’ orders out, with the slipcases to be dispatched later on. 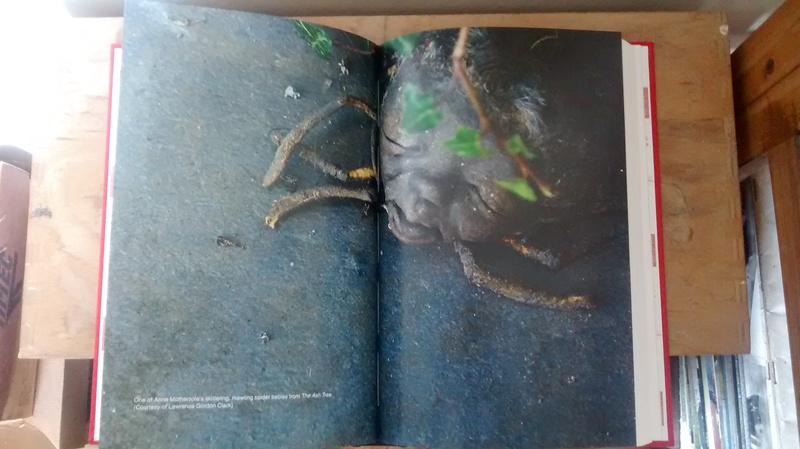 We here at Spectral think this tome is a thing of beauty – and we hope you will think so too! Keep watch by your letterboxes! We are happy to report that we received email confirmation from the printers that the books are being sent out today for delivery tomorrow. Copies will be sent out beginning Monday. Once again, thank you for everyone’s patience! It is with immense please that we can announce the acquisition of two novellas from a duo of top class writers. First, we have Albion Fay from MARK MORRIS, a name which should be familiar to many. It tells the story of twins Angie and Frank, about a weekspent in an isolated holiday home surrounded by a landscape which is as dangerous as it is beautiful. Set against the deteriorating marriage of their parents, that holiday will be about to change everyone’s lives. Date of publication TBC. The second novella will be Leytonstone, by none other than STEPHEN VOLK, the author of last year’s bestselling Whitstable. This will be the second in his Dark Masters trilogy, of which Whitstable was the first, and for this one the subject is a very young Alfred Hitchcock. 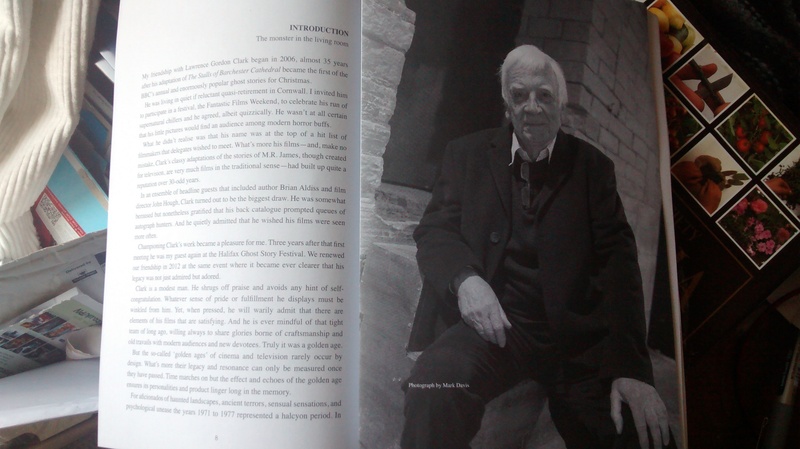 In the story, we get to learn of the many influences which went into the making of the adult, and how those influences collaborated in creating one of the foremost directors of his time. If you liked Whitstable, then we can guarantee that you will love Leytonstone. Also due in 2015. 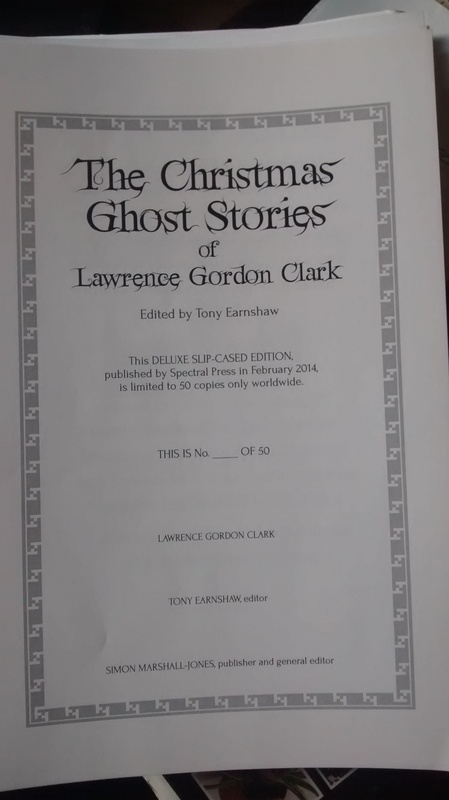 The Christmas Ghost Stories of Lawrence Gordon Clark: Deluxe edition. The books will be arriving either tomorrow or Wednesday – and we will be despatching them this week too. Episode six of Simon Bestwick’s monthly serial, Black Mountain: The House by the Cemetery, will be published very soon: it’s lateness is due to unavoidable personal circumstances which the author had to attend to. This means that there will be TWO episodes this month, so that the serial will be back on schedule by the end of June. 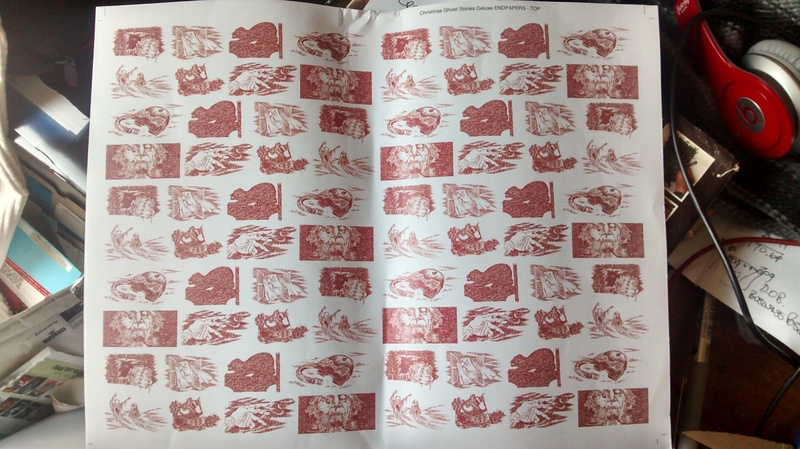 From the next issue of the chapbook series, Volume XII (Robert Shearman’s Christmas in the Time of Ennui) and which will be published in July, they will be packaged in sturdier and more protective envelopes. This will mainly be to guard against spine damage and the wanton mishandling by postmen. Subscription prices will be held at current prices. 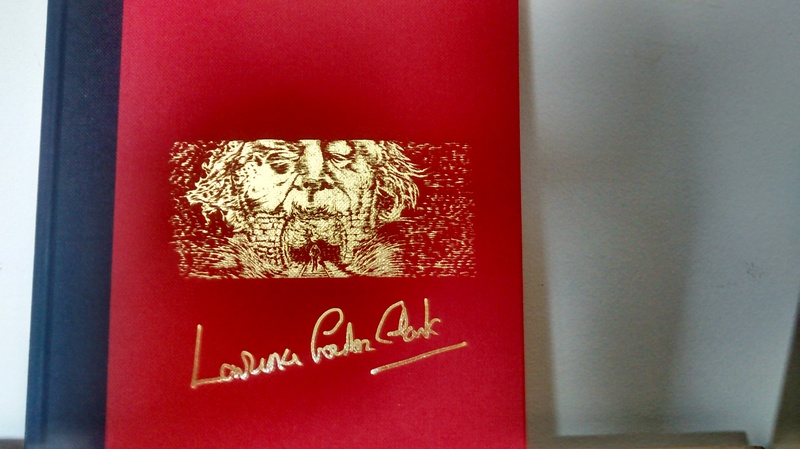 The good news about the ultra limited Deluxe Edition of The Christmas Ghost Stories of Lawrence Gordon Clark is that they will be here either tomorrow (Friday 30th May) or Monday 2nd June. The slipcases however still need to be made. In view of the already inordinate delay occasioned by various issues, Spectral will be sending the book out to customers first followed by the slipcases when they’re ready. This is so that customers can at least read the book they have waited for. All purchasers will be notified by email of this situation individually. 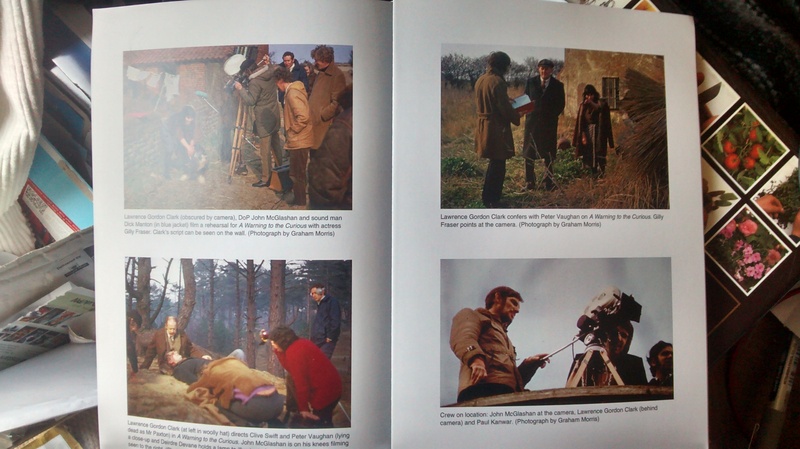 All it remains for us to do is to thank all who bought the book for their extreme patience! 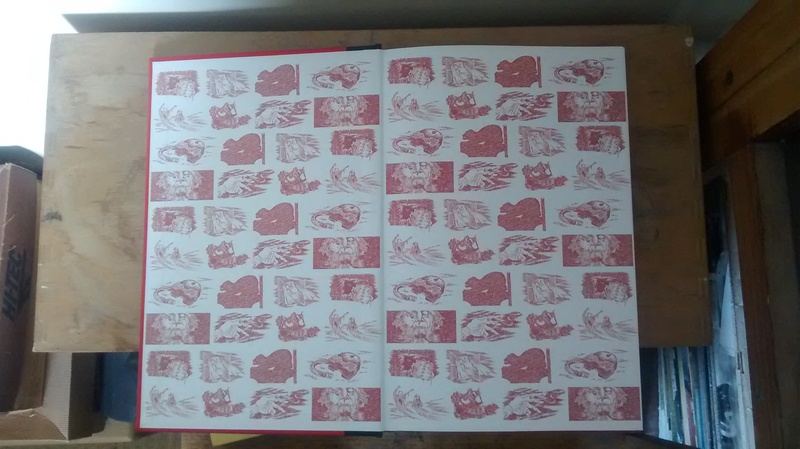 Please note: the endpapers will be red, overprinted with the colour shown immediately above. The white paper was simply to show how it would come out. 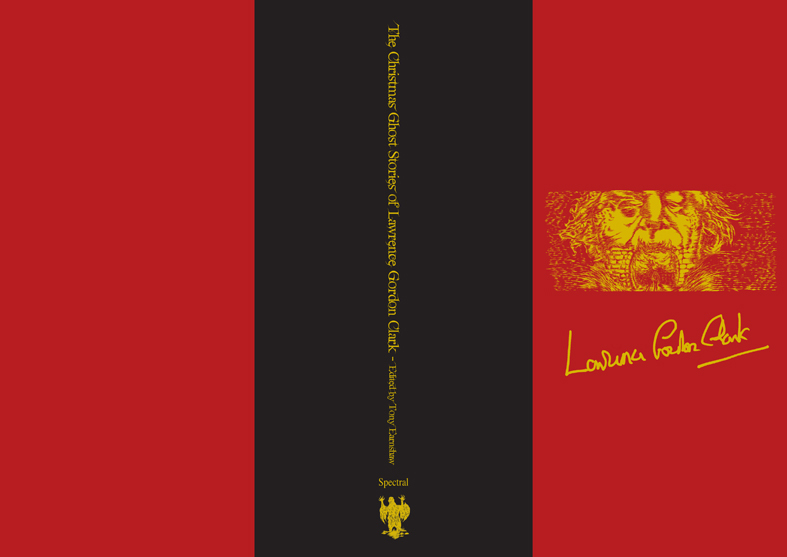 There are only ten or so copies of this edition left (out of 50) – if you would like one, please use the Paypal buttons below. This is sure to be a collector’s item of the future, so secure yours today! 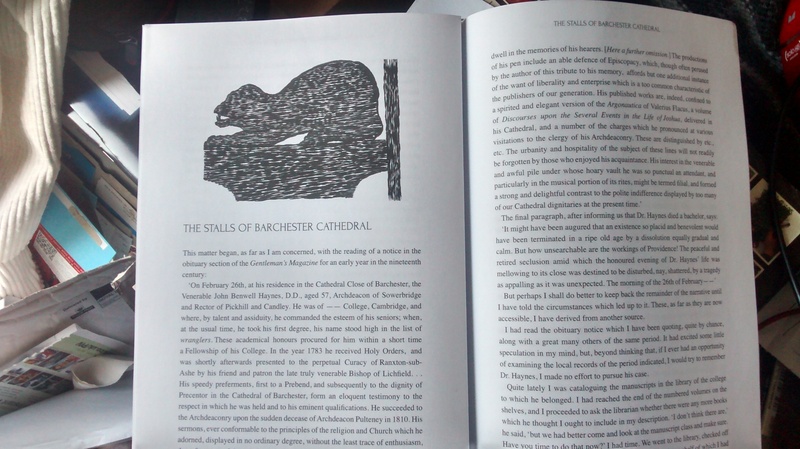 Nine short stories by M. R. JAMES: The Stalls of Barchester Cathedral, The Treasure of Abbot Thomas, A Warning to the Curious, The Ash Tree, Lost Hearts, Casting the Runes, Count Magnus, The Signalman.